Former two-division champion Carl Frampton and undefeated Australian contender Luke Jackson faced off on Thursday in Belfast during the final press conference for their featherweight showdown Saturday from Windsor Park. 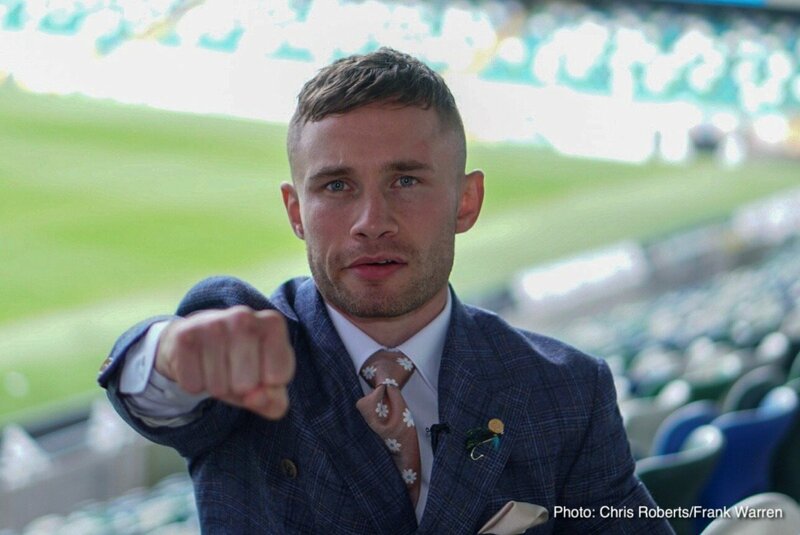 Frampton’s first defense of the WBO interim belt he won in April will stream live exclusively to U.S. audiences on the SHOWTIME Boxing Facebook page and SHOWTIME Sports YouTube channel beginning at 3:30 p.m. ET/12:30 p.m. PT. SHOWTIME will air an encore presentation later that evening on SHOWTIME EXTREME® (10 p.m. ET/PT). 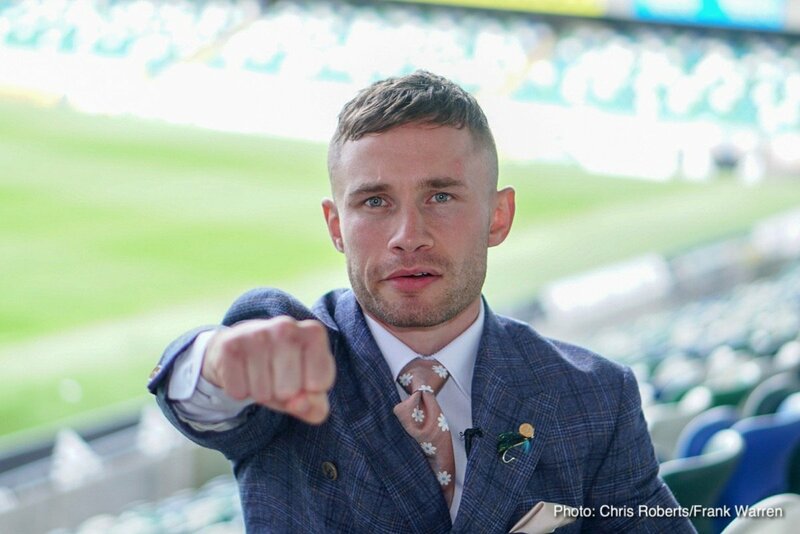 An expected 25,000 fans in Frampton’s hometown will witness the first boxing event at the home of Northern Irish football. In the opening bout, former IBF, WBA and WBO Heavyweight World Champion Tyson Fury will square off against two-time heavyweight title challenger Francesco Pianeta in Fury’s second comeback fight after a two-and-a-half-year layoff. Studio coverage of SHOWTIME BOXING INTERNATIONAL from New York begins at 3:30 p.m. ET/12:30 p.m. PT with host Brian Custer and Hall of Fame analyst Steve Farhood providing pre-and post-fight analysis. 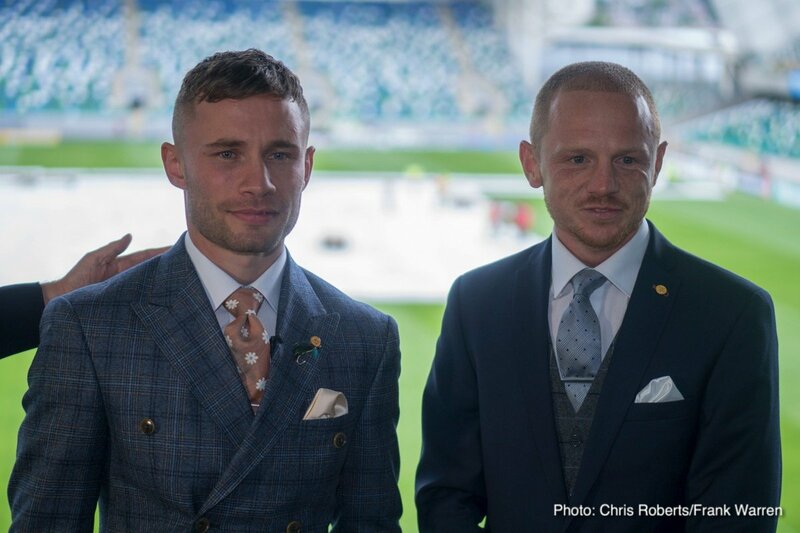 Live coverage from Belfast, which will be provided by BT Sport, will begin with the Pianeta ring walk shortly after 3:30. U.K. sportscaster John Rawling will call the action with Barry Jones providing analysis, and Ronald McIntosh conducting post-fight interviews for Fury-Pianeta. “This is a dream. 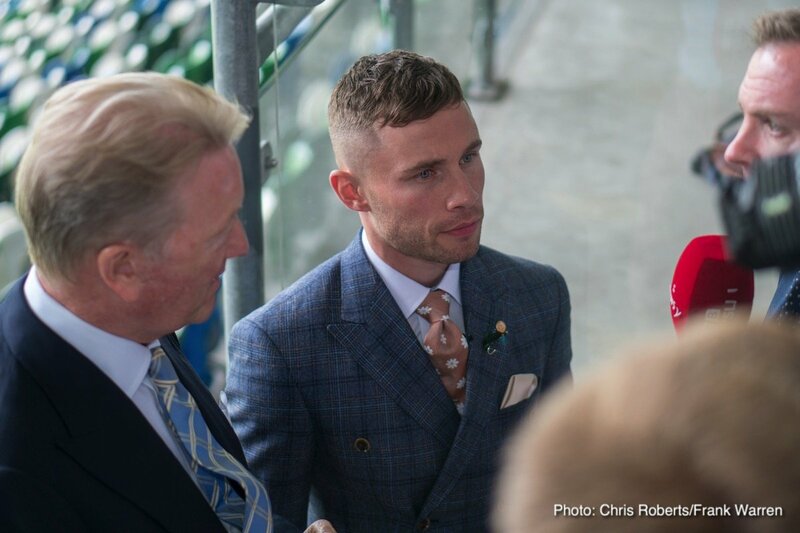 It’s soon going to be a reality to fight at Windsor Park in front of my passionate fan base. It’s special not only for me but for the city as well. Everybody’s talking about it and there’s a buzz in the city. “I’m ready for this. I’ve seen a few things that Luke has said and I truly have not been overlooking him at all this whole camp. With all due respect, this is about more than Luke Jackson. This is about me at Windsor Park and I’ve trained very hard. I’m fitter than I was against Nonito Donaire. “I know a fair bit about Luke. He’s very highly ranked by the WBO, I think he’s a solid professional. I just believe that I’m a different level. It doesn’t matter what anybody says, whatever happens on the night is all that matters. It’s all about who gets their arm raised at the end of the night and I believe that’s going to be me. 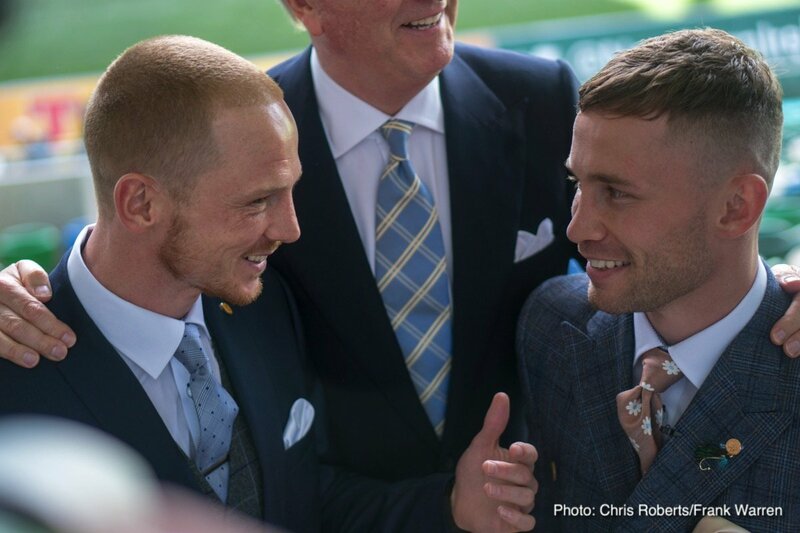 “Since I’ve teamed up with Jamie and his team, I feel like a different person. I wish I would have done it years ago. I’m so happy now and I’m enjoying boxing and I’m ready to put on a big performance. 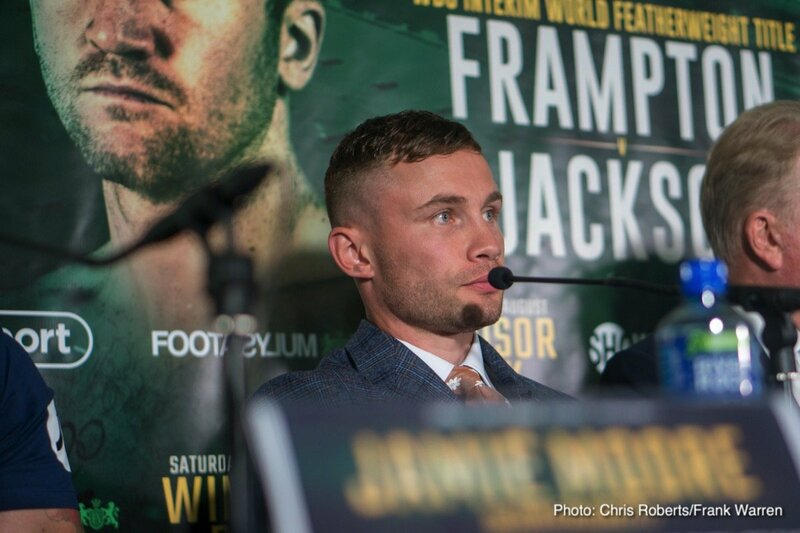 “Carl Frampton is the consummate professional. Obviously, we wanted a big unification fight but it just wasn’t possible. What you’ve got to understand is that this has been a dream of Carl’s for a long time and it doesn’t matter who’s in the opposite corner. I understand why Luke Jackson’s camp is hoping that we’re overlooking him because it’s the only way they can gain any sort of confidence. It’s just not the case. Statistics show that he is 10 percent fitter than he was when he fought (Nonito) Donaire. 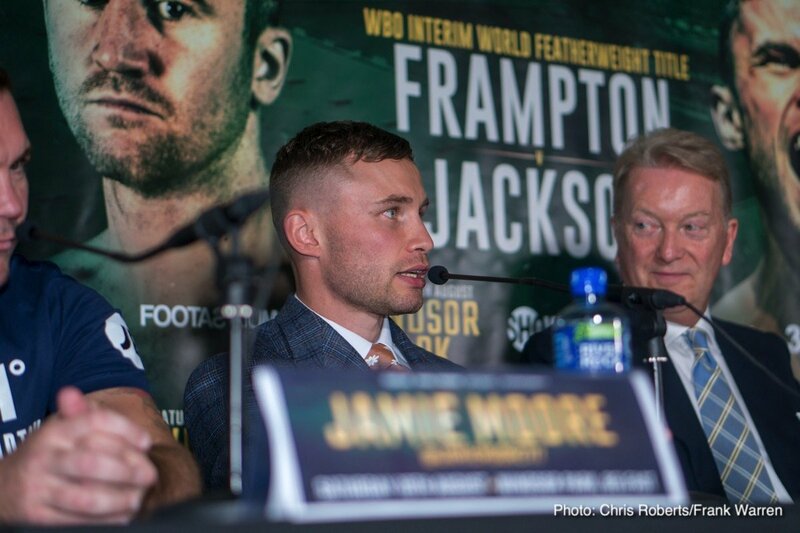 “A world title for me would be a real life “Rocky” story. I’ve come from nothing and there’s a lot I’ve had to deal with in my life to get to this position. I’m very proud of myself to be here. My father is 67 years old and he’s never left the country of Australia and for me to give my father a reason to fly halfway across the world fills me with pride. “We’ve had a real good training camp. Carl is a great fighter so it’s an honor to be here and train Luke for such a massive fight. This is huge for us and we really want to win this fight. Australian boxing is on a high at the moment. 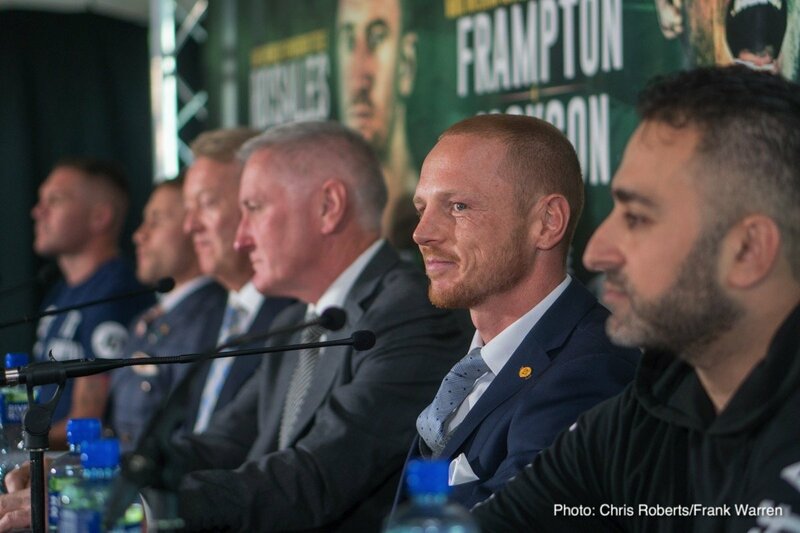 We really want to win this fight for the fans who have supported Luke and it’s great to see the whole of Australia getting behind him for this fight. 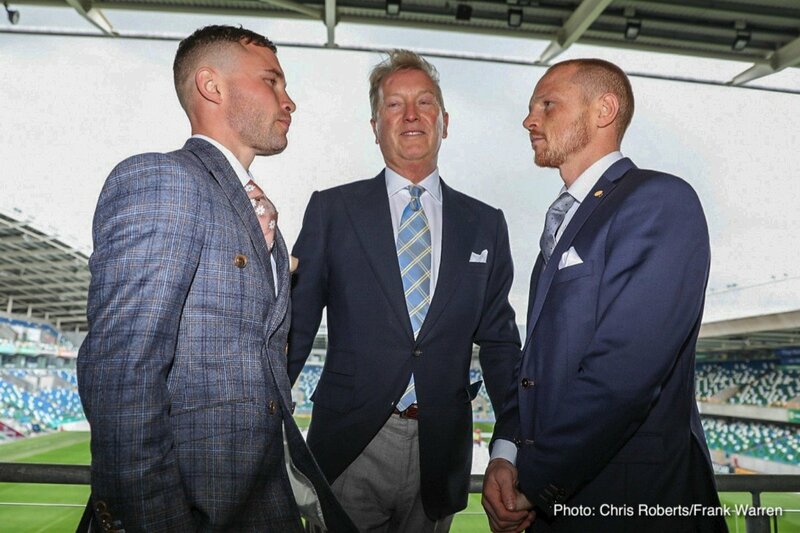 There is a star studded undercard and just a handful of tickets remain from www.ticketmaster.ie.